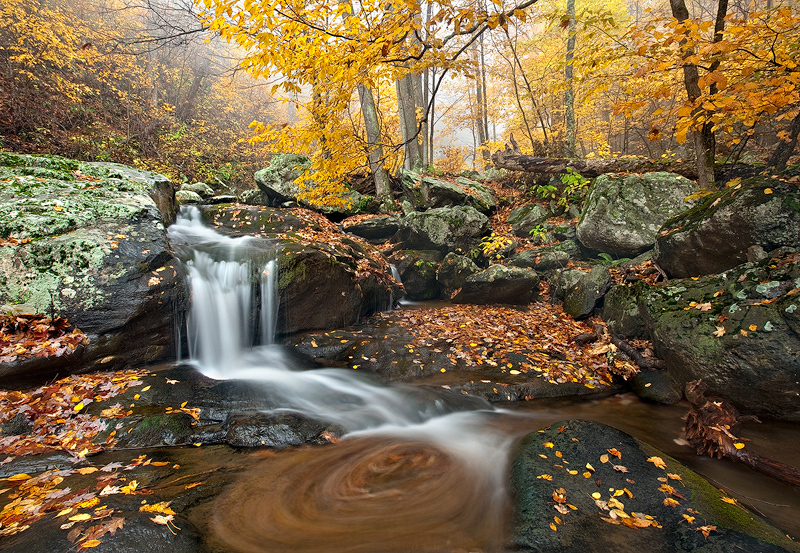 Fall colors come to life as the rain and fog roll in on a typical blustery day in Shenandoah. This was taken in the late afternoon as the fog rolled in and the rain really started to get heavy. The rocks were extremely slippery. Even though it was raining - the water levels were very low, which worked perfectly for this particular image. Photo © copyright by Michael Greene.